Veteran Drum Corps International judge Nola Jones is featured in a recent article from a University of Tennessee at Martin's publication. 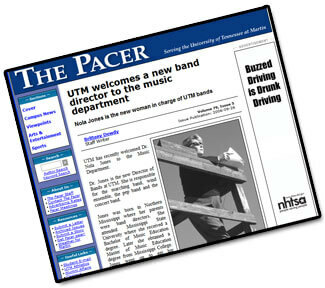 The University of Tennessee at Martin recently named Jones the new director of bands of the school. Jones, who holds a master's degree in music education and a doctorate in wind band conducting, came to UTM after serving as associate director of bands and assistant professor of music education at Northern Arizona University.